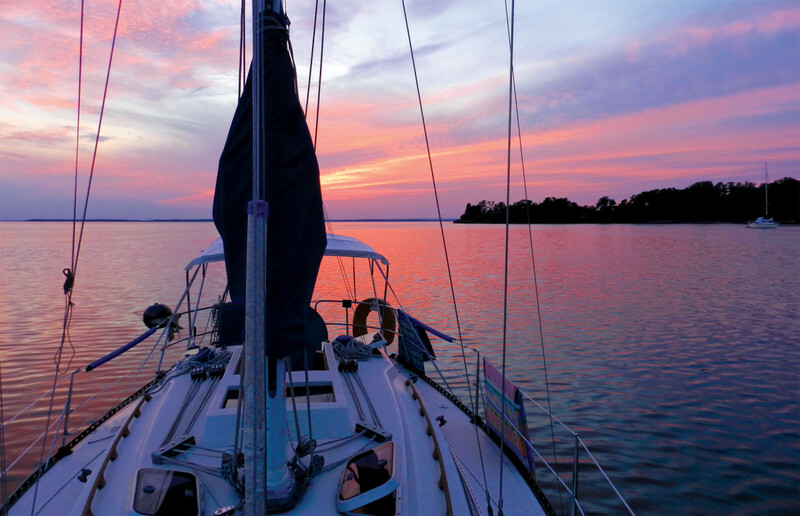 I have lived in Baltimore for almost 20 years and cut my teeth racing and sailing there, and while I’ve sailed in some remarkable spots around the globe, it still holds a special place in my heart. 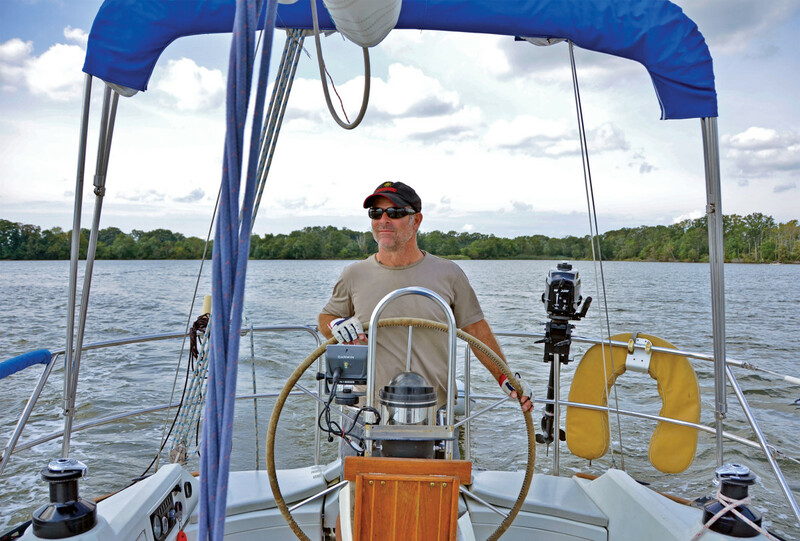 This past summer I did a seven-day sail on the northern bay, hitting some of my favorite anchorages and classic bayside towns. My first stop, the Wye River, is one of the most bucolic and peaceful settings around. It has that special magic to ease the urban working grind and get you into a Chespeake Bay frame of mind. One of the best anchorages in the Wye is Dividing Creek, a protected little cove tucked into Wye Island. It can get a bit crowded on the weekends, but during the week and in early and late season you will often have it all to yourself. If it’s full, no worries—the Wye has many other beautiful protected creeks and bays where you can drop a hook and find your own special paradise. I highly recommend taking your dinghy and exploring. There’s an almost endless supply of secluded picnic-perfect beaches along the island’s deserted coastline. You’ll also find some amazing turn-of-the-century grand old mansions along the outer shore—this region has long been a favorite getaway for the wealthy Washington, DC, crowd. A little farther down on the Miles River is historic St. Michaels. 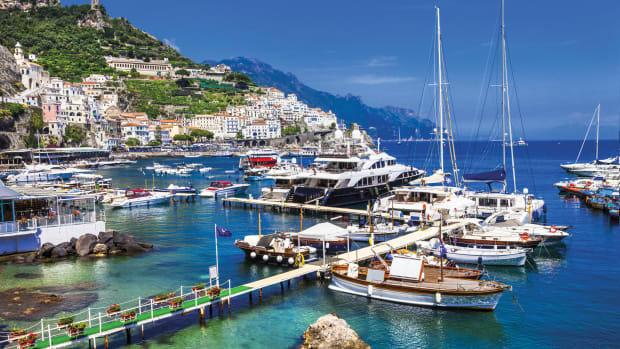 Arguably one of the most beautiful and popular towns on the bay, you’ll find plenty of marinas, a huge anchorage, regular launch service and a great selection of restaurants and bars. 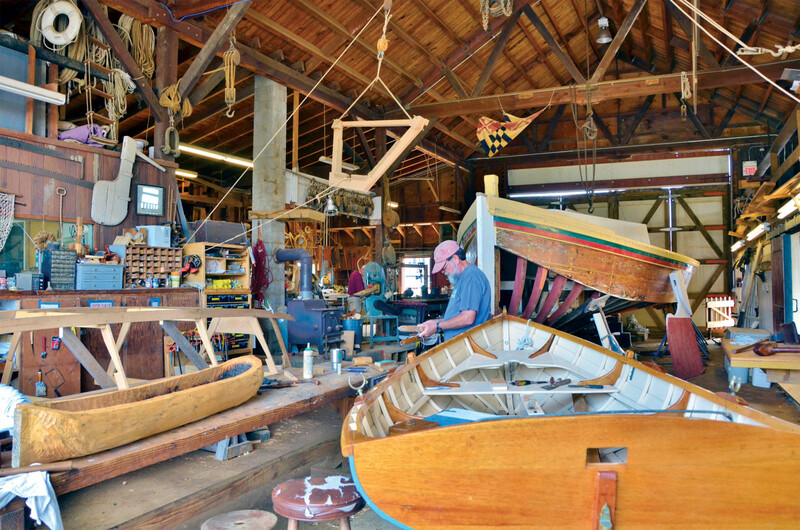 The shining jewel of St. Michaels is the Chesapeake Bay Maritime Museum. Founded in 1965, the museum’s 18-acre waterfront campus was once the site of a busy complex of seafood packing houses. The centerpiece of the museum is Hooper StraitLighthouse, which the museum bought in 1966 and barged 60 miles north to its new home. This is a working museum, and there are always a couple of interesting boat restoration projects going on in the large ship building barns. Visitors are invited to watch and ask questions, as long as they don’t get in the way. The museum also has many standing exhibits that trace the geological, social and economic history of the Chesapeake Bay through the age of sail-, steam- and diesel-powered craft. There are always a large number of historic boats on display floating at the museum’s docks, and the museum regularly invites guests onboard for short sails on the Miles River. One of my favorite historic boats—and one I know well—is the Edmeé S, one of three historic 1930’s “log canoe” raceboats owned by the museum. 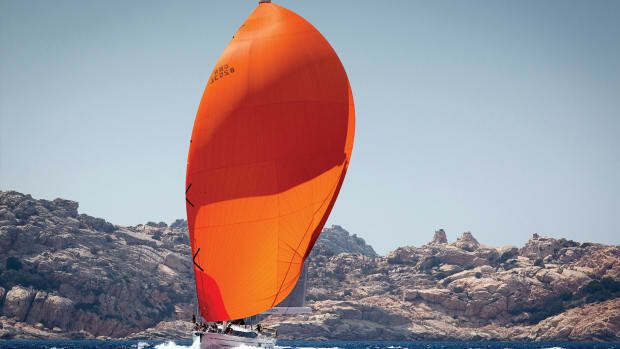 Friends of mine regularly race on Edmeé S, and I’ve been lucky enough to have gotten out on her a couple of times. If you don’t know what a log canoe is, it’s a traditional racing/working boat that can be both graceful and a bit clumsy all at the same time. I say clumsy, because there’s a tremendous amount of sail area and no keel. The only way to keep her standing up is to sit on long boards that the crew attaches onto the windward gunwale. Inevitably, a gust comes and the boat tips and becomes a yard sale: all part of the fun, except when there are lots of sea nettles (jelly fish) in the water. In recent years St. Michaels has been seeing a bit of a culinary explosion, and it now has some very nice, hip, new restaurants. Mike and Eric’s Front Street Restaurant and Bar, for example, is a great place for a casual relaxed meal in a pleasant atmosphere. If you want something a bit more formal, try 208 Talbot. The chef here is fantastic, as is the wine selection. 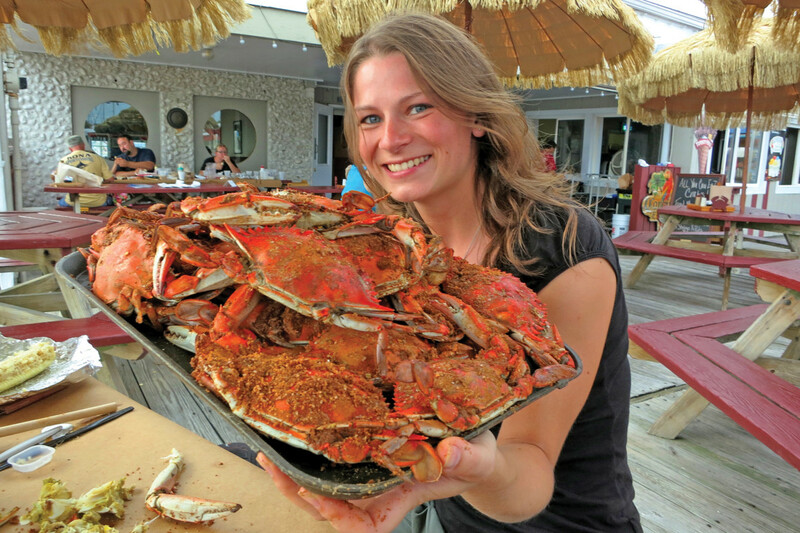 If you want to go local, stop in the Crab Claw and order a few dozen crabs and a bucket of National Bohemian beer. 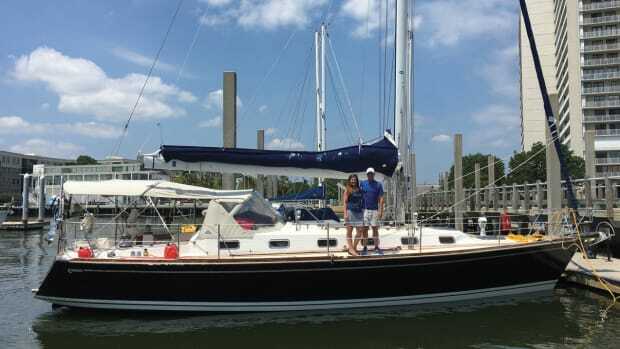 While St. Michaels speaks to the history of sailing, Annapolis is the bay’s modern day sailing Mecca. 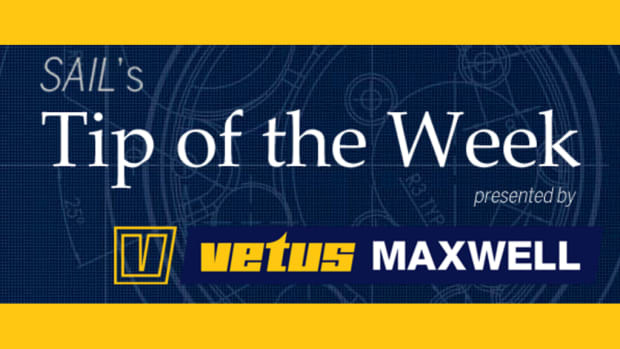 Whatever your sailing needs—gear, parts, repairs, advice, sails, etc.—you’ll find it here.  Be sure to take a tour of Bacon Sails and Marine Supplies. This second-hand shop is a must for both the bargain sailor and those looking for anything old and obscure. 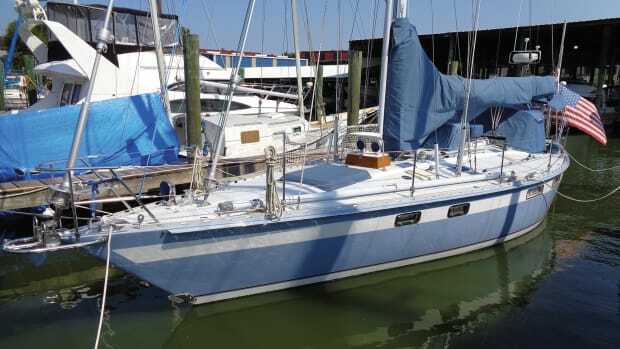 I once picked up a brand new autopilot for my boat, fresh out of the box, for under $100. Once the capital of the United States, Annapolis is one of the most historic and beautifully preserved waterfront towns on the bay. With the gorgeous Maryland Statehouse, the Governor’s Mansion, the classic and traditional Naval Academy, and the twisting streets and old maritime houses, you can spend days exploring here. One of the classic bars here is Pussers Caribbean Grille, which overlooks Spa Creek. Having one (or two) “painkillers” here is a right of passage for anyone who visits Annapolis. 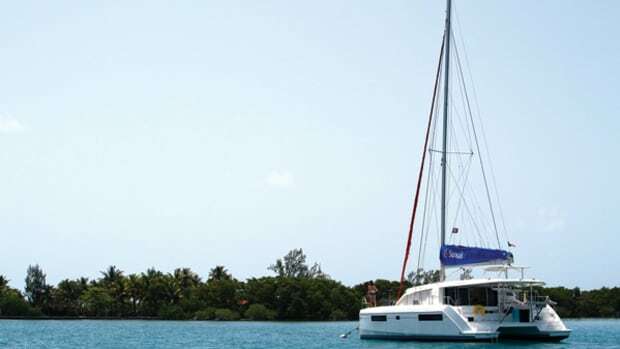 Yachties can either take a mooring ball or stay in one of the marinas in Spa or Back creeks. Annapolis has a regular water taxi service, so it’s easy to get around. If you’re there on one of the local race nights, I recommend grabbing a ball in Spa Creek. 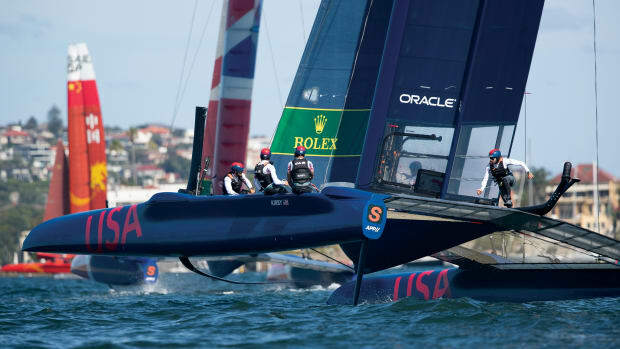 The races end right in the mooring field, and it’s fairly exhilarating. Don’t worry, they won’t hit you, these sailors are pretty good. In the morning you’ll wake to the sound of the cadets at the academy doing their drills. If you want to extend this patriotic feel, head into Chick & Ruth’s Deli in the heart of downtown—a breakfast spot icon. Just be prepared for a bit of a wait for a seat, as locals and tourist alike love this place. If you’re there at 0830 midweek or 0930 on weekends, don’t be surprised when the entire restaurant stops eating, stands up and puts their hands on their hearts to recite the pledge of allegiance—yes, this is a Navy town. Swan Creek, just north of the Bay Bridge, was my last stop before heading home to Baltimore. 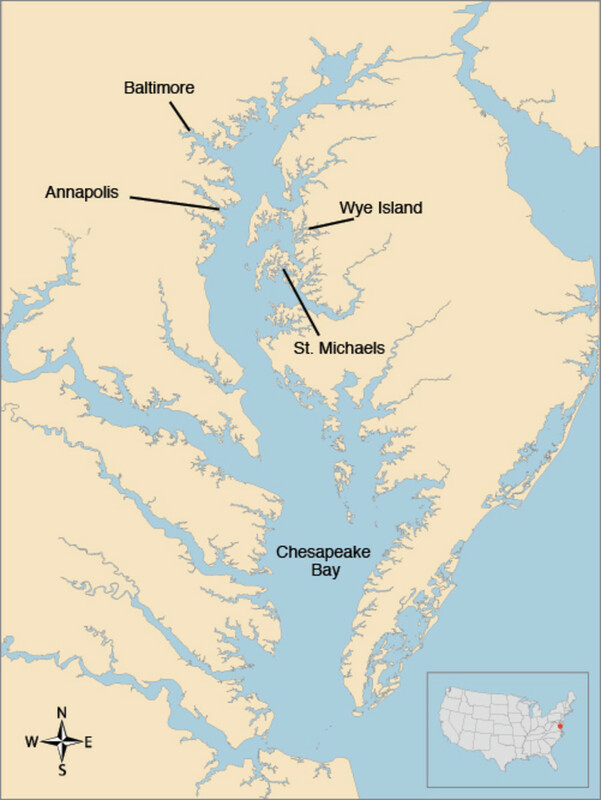 The main town here is Rock Hall, which like St. Michaels, is a beautiful old and historic Eastern Shore kind of place. The ice cream fountain in Durding’s Store on Main Street is straight out of Andy Griffith’s Mayberry. Like St. Micheals, many hip new restaurants are starting to open in Rock Hall, like Four Sirens, with its amazingly eclectic burger selection and wide array of craft beers. You also have your standard crab joints, like the Waterman’s Crab House, which has good prices and great music on the weekends. If you happen to be in Rock Hall in July, you’re in for a real local treat. The Waterman’s Day festival is an annual celebration of the men and women who make their living on the bay. One of my favorite events is the boat-parking contest, where talented skippers compete to see who can park and tie up their crab boat in the shortest amount of time. Trust me, this can be very entertaining—especially with a heavy crosswind. Hands down, my favorite inn in Swan Creek is Osprey Point. 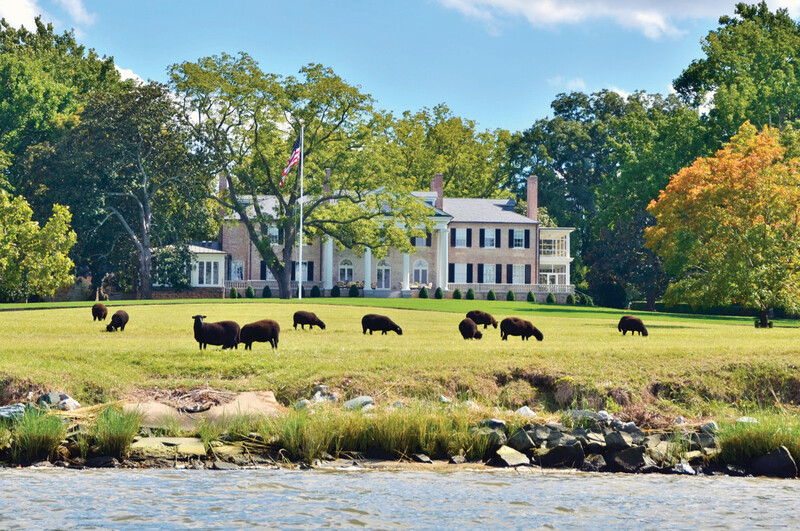 A turn-of-the-century farmhouse that has been converted into a luxurious inn, this is a must-do spot on the bay. I’ve stayed there countless times and it’s always great. Swan Creek is a little bit of a hike from Rock Hall, but there’s a very cheap trolley service that will take you wherever you need to go. You can also take one of the inn’s bikes or walk as it’s only about 15 minutes and very peaceful and relaxing on a cool summer night. Baltimore is the only real “city” on the northern bay, and well worth checking out. The birthplace of Billie Holiday and Babe Ruth, Baltimore has a lot of good old, blue collar heart and soul. My favorite anchorage is Henderson’s Wharf Marina, located in the heart of Fells Point. You’re within stumbling distance of some of Baltimore’s best bars, restaurants and live music. If you like Mediterranean food and great fish, Black Olive is one of Baltimore’s best. For more of a local feel, right next to Black Olive is One Eyed Mike’s, another one of my favorites. For great tapas, Mezze is a great choice, and you can’t beat the waterfront location. Pretty much every bar has a band playing, so just wander down the street and take your pick. If you don’t mind a short cab ride, one of the best new restaurants that highlight Baltimore’s expanding foodie culture is the B&O American Brasserie. Housed in the old Baltimore and Ohio railroad offices, this is one of my favorite places to eat in “Charm City” for good old American food with a culinary fusion twist. Fells Point also has a rich maritime history. Some of the first vessels commissioned for the U.S. Navy were built in Fell’s Point shipyards, including the U.S.S. Constellation. Built in 1797, this ship’s last mission was intercepting illegal slave ships. Today, she’s proudly parked in Baltimore’s Inner Harbor. No replica, this ship is the real deal. If you have more time, there are many other great destinations in this part of the bay—the Hudson and Honga rivers, Smith Island, Worton Creek and Island Pond. In fact, that’s what I love most about this body of water, the endless possibilities. In spite of all the sailing and racing of done here, and I feel as if I’ve only just begun to plumb its depths. So, next time you’re thinking of a charter, look a little closer to home and give the bay a chance—you’ll be surprised at what you find. For more images, visit Chesapeake Bay Photo Gallery here.